Time can’t be replaced, and we all don’t get any younger. You see, in Odyssey, we like to have long term relationship with our clients, and love to hear more about how things improve as they continue to use our services over the years. Our CEO was talking to one of our longer term clients the other day, who was also known as one of the “three amigos” (also known as the Hogs) on our Odyssey motorbike trip back in 2012. 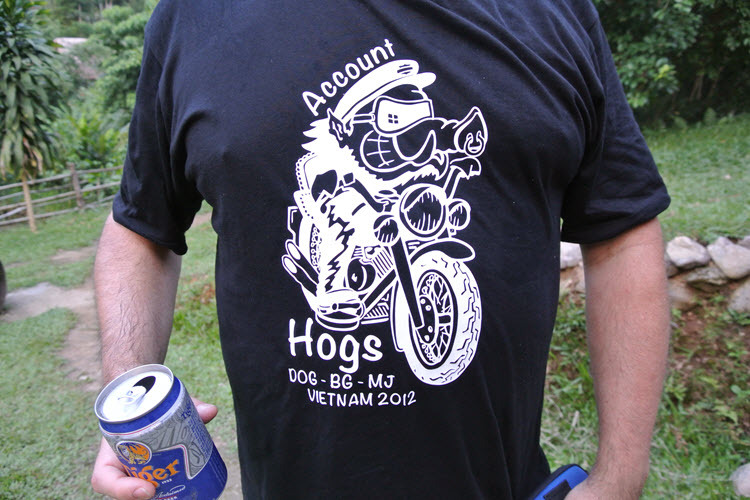 So Mark, one of the Accounting hogs on our trip, had never ridden a motorbike before he signed up for our 2013 Annual Odyssey motorbike trip. After taking the required learners courses in Australia, he was the proud owner of a freshly minted Australian licence. And off he went on our trip. It was a pretty gnarly trip, and the weather at times poured down, as only it can here in Vietnam. I’m sure it was memorable, if not at the time, but certainly in the years after. Mark and I still joke about the fun we had on the trip. In speaking to Mark a week or so back, Mark mentioned he’s now into Motocross, as his teenage son has taken up this sport with a passion. By going outside his sphere of comfort, and his sphere of experience, Mark has now gone places he probably wouldn’t have if he hadn’t taken the plunge with our motorbike trip, let alone the plunge with outsourcing. If it’s one thing that we enjoy here at Odyssey, it’s hearing about how we change people’s lives for the better as a result of our work. You see, when you send work over to Odyssey as an Outsourcing provider, we return a completed quality product. And that allows you to move on with life. It’s one of the pleasures of speaking with our clients to hear what they’ve been up to with their new found spare time. Some clients just want a weekend back to have time with their family. Some spend the time going to their daughter’s sporting events. Some take long overdue holidays – we had one client that rented a sailing boat for a few days in Greece, who previously hadn’t had a weekend for many years. It’s all good. So how about you, isn’t it time you consider outsourcing with Odyssey, and get back some time? My big advice will be that you have to be working on the business and not in the business, and creating systems so that you can actually take time off.